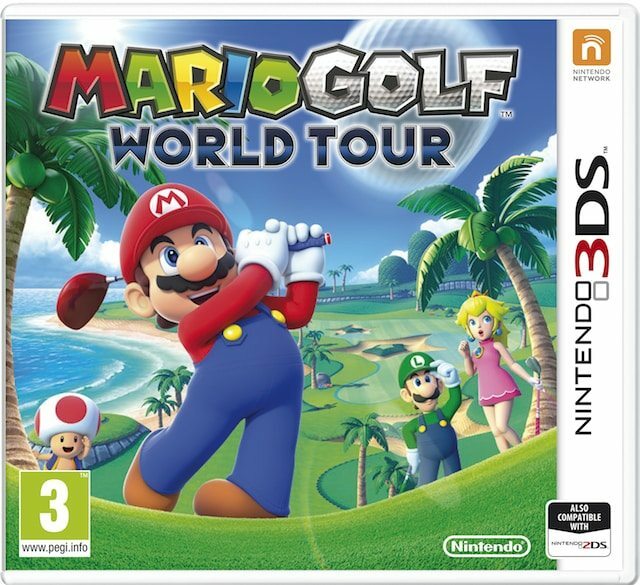 Nintendo of Europe have swung and struck home, revealing the box artwork for incoming 3DS exclusive Mario Golf: World Tour. As you can see below, this striking artwork sees Mario striking his golf ball, with Luigi, Peach and Toad watching in amazement in the background. Last month’s Nintendo Direct saw the introduction of the game’s Castle Club mode, where players will take to the green as their Mii characters with a wardrobe of clothing waiting to be unlocked for you to personalise their golfing gear. Mario Golf: World Tour will release in Europe and North America on May 2nd.